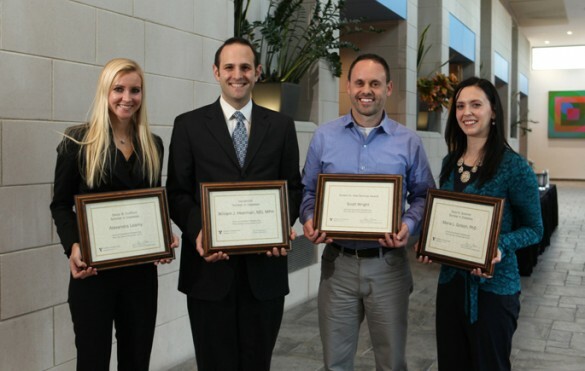 Vanderbilt Diabetes Day, an annual research symposium, this year featured talks by nationally known researchers and by winners of the Diabetes Scholar awards. • Maria Golson, Ph.D., postdoctoral fellow and instructor in Medicine (Daryl K. Granner Scholar in Diabetes). Held Nov. 21 at the Vanderbilt Student Life Center, the symposium was supported by the National Institute of Diabetes and Digestive and Kidney Diseases, and sponsored by the Vanderbilt Diabetes Research and Training Center and the Vanderbilt Center for Diabetes Translation Research.